Communication means transferring thoughts, information, emotion and ideas through gesture, voice, symbols, signs and expressions from one person to another. Three things are most important and essential in any communication process they are Sender, Receiver and the Channel (medium). The Sender is encoding the messages in any form like voice, written or any signs. So they often called as Encoder. The Receiver is decoding the message from the sender to understand the message. So they often called as Decoder. Channel: Any message or Information needs some channel or a medium. Example: television is an audio visual medium which decode the electronic signals into an audio-visual to the audience. The communication happens through verbally, vocally or through written words which express or convey the message to other is called verbal communication. Example: Baby crying (vocal) is verbal communication which express the hungry or pain through vocally. A. 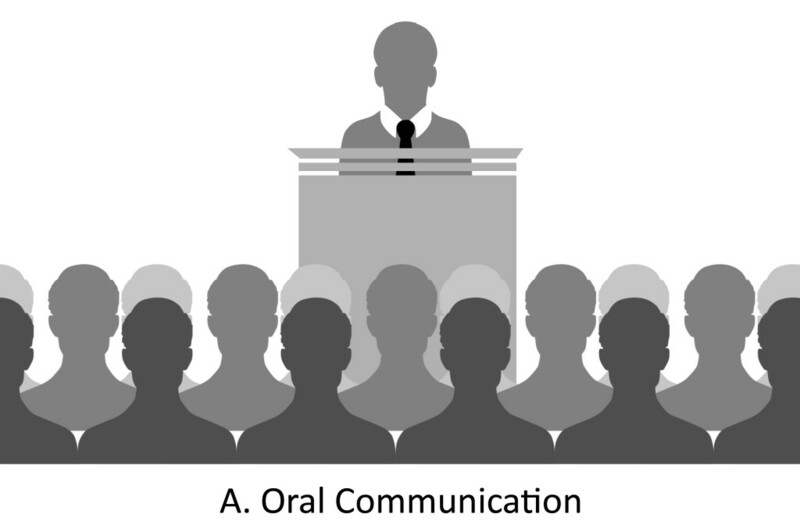 Oral Communication: A communication which happens through word of mouth, spoken words, conversations and also any messages or information are shared or exchanged between one another through speech or word of mouth is called oral communication. Example: Public speech, News reading, Television, Radio, telephone and mobile conversations. B. 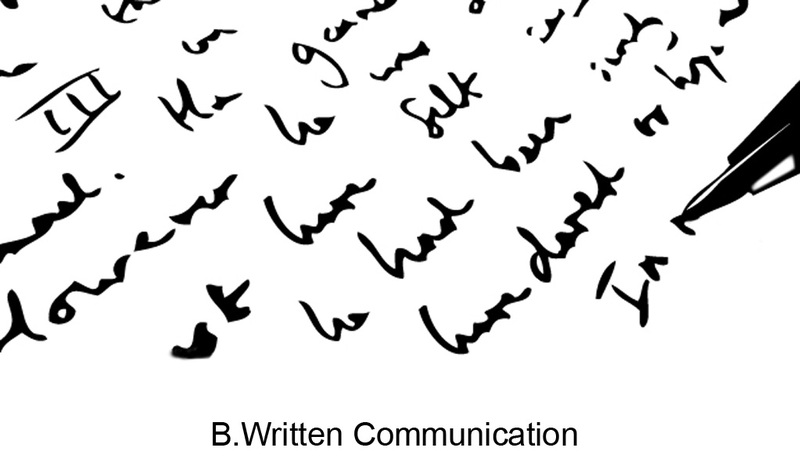 Written Communication: A communication happens through any word written or often written sign which refers the languages uses in any medium is called written communication. Example: Simply any hand written, typed, Newspaper, printed word documents, letters, books and magazines. Non-Verbal Communication: Any communication without word of mouth, spoken words, conversation and written languages are called Non-Verbal Communication. It happens through signs, symbols, colours, gestures, body language or any facial expressions are known as non verbal communication. Traffic signals are one of the best examples for non verbal communication. is this a theory ?? superb sir….but i want know more about barrier of communication. NICE BUT YOU MISS ONE THING ……..